Whitney Houston Biopic Shade & Some Behind the Scenes Footage! 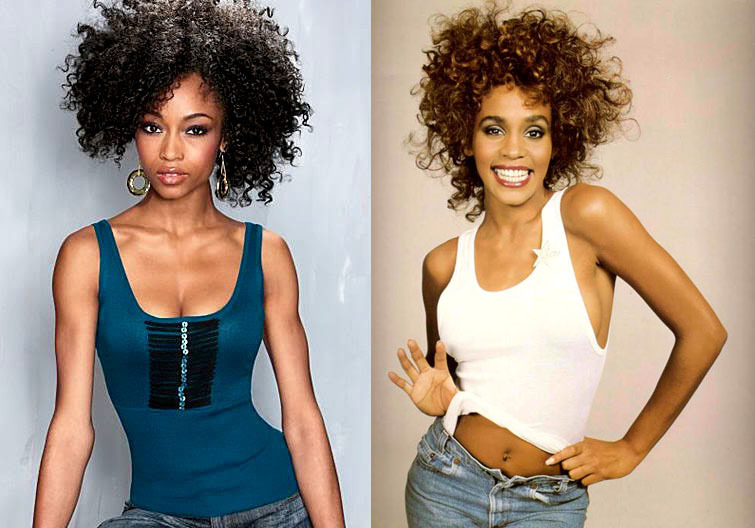 There seems to be a lot of controversy surrounding the Whitney Houston biopic. The film is being directed by Angela Basset and is scheduled to air on Lifetime next year. Yaya DeCosta will play Whitney, which I think is an excellent casting choice. However, there are few issues I have with this film. First, Whitney’s real voice won’t be used. Deborah Cox, a phenomenal singer in her own right will lend her voice. Deborah is amazing but I think Whitney’s voice should be used. Perhaps Clive Davis should release her sound? (Just saying). Second & most important, the family is not agreement. This fact alone makes me question if the accuracy of her story can be properly verified. Without consulting the people closest to her, how will the truth be told? I adore Angela Basset and I am sure she will direct a stellar film. But, I know that the best biopics are those who have the blessing (and recounts) of people who were intimately connected to the person being portrayed. I will tune in because I love me some Whitney Houston and I was deeply saddened at her passing. I just hope that we get a factual story. You can see some behind the scenes footage and commentary here. All of the underlying commentary seems shady to me. Let me know what you think. This entry was posted on July 23, 2014 by Toiah in Everything you want, The Gladys Kravitz Files - Research and Reports..., The Juicy Stuff and tagged Angela Bassett, Lifetime TV, Whitney Houston, Whitney Houston Biopic, Yaya DeCosta.